Makes the old 'analog video matrix' obsolete. IP Message aware as well as serial input capability. Legacy analog video sources are significantly sharper and more detailed. Mega pixel images are sharper and more defined. Multi-Mega pixel streams can display every pixel with low cost, high resolution monitors. Each display Monitor can be 'virtualized' into multiple sub-monitors for additional display capacity. Camera and Monitor numbers are obsolete. Point and shoot functions prevail. 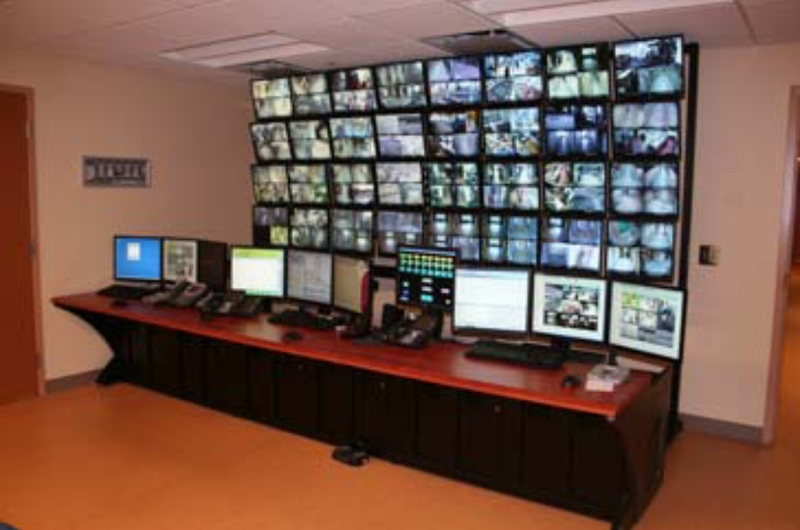 Unlimited number of monitors can be displayed. Guard touring and external control of display by legacy devices. Reduces hardware footprint and BTU thermal loading significantly. Cost effective solution can be fully supported by in house IT staff. Enterprise Command Center (C2) is a software based video distribution application. 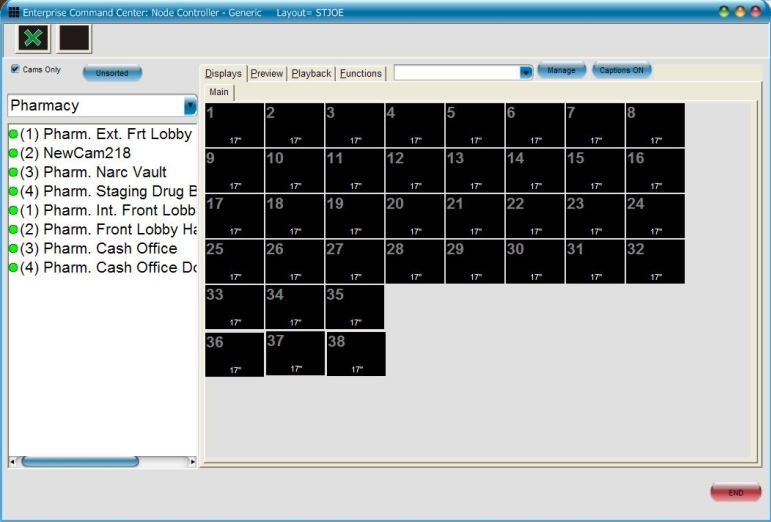 Utilizing a visual user interface, cameras and monitors are 'connected' with mouse clicks or a tap of a touchscreen panel. Live and pre-recorded video is instantly displayed on the destination monitor full screen or in a display matrix. Additionally, maps, animation, movie clips and other user content can be 'pushed' to the target monitors. An alarm log allows system wide alerts to be posted with console alerting. Compatible card access systems can also post messages to the alert logs and even punch up video autonomously from events such as 'forced entry', access denied or most any other system message. 'Way of the future' IP based communication is revolutionizing many industries. Security is one experiencing a wholesale migration to IP topology. JDS has recognized this with the introduction of C2 as a pure IP messaging mechanism. 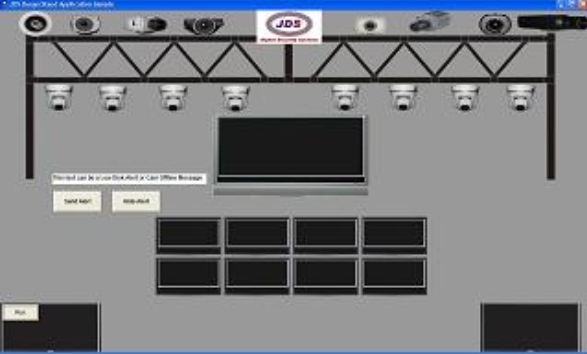 It has been designed from the ground up to be compatible with current JDS offerings as well as future products. Many new capabilities will be leveraged as the next generation of Softsite products is introduced. If a device can send an IP message, C2 can can read it and act upon it. Even legacy analog systems can be utilized with our Variable Message Server technology.